The information you may provide may include Personal Information such as, for example, your name, your mailing address, your email address, your credit card information, your telephone number, and your age. It may also include non-personal information (collectively with Personal Information, “User-Provided Information”). You do not have to provide any information we request. You can access or use some content or services contained in or linked to the Site without providing Personal Information. But if you choose not to provide us with your information, you may not be able to access or use all content and services contained in or linked to by the Site. Site Usage Information includes your Internet Protocol (IP) address and your geographic location, which we use to improve Site operations, including delivery of content and services to you, and to restrict access to certain types of content and services based upon your geographic location. Site Usage Information may be collected via various technologies such as cookies and server logs. A cookie is a small file consisting of a character string that a website sends to your browser when you visit the website, and that allows the website to uniquely identify your browser and store certain information about your browser activity. A server log is a record of page requests made by a server when you access a website hosted by the server. Page requests generally include the following types of information: IP address, browser type, browser language, date and time of request, and what webpage(s) the user requested to view. We do not at this time use User Information in behavioral- or interest-based advertising on the Site. Please be aware we do not control the use of behavioral- or interest-based advertising on Third-Party Sites. 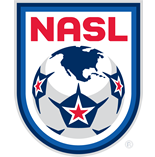 We may provide User Information to our member clubs and their respective parents and affiliates (collectively, “NASL Affiliates”), our vendors, and our business partners or sponsors (collectively, “Authorized Entities”). When we provide User Information to the Authorized Entities, we require that the Authorized Entities use User Information only for purposes or activities that we have authorized or for which we or the Authorized Entities have obtained your consent. If you have provided Personal Information to us, you may email support@ezitsolutions.com to make changes to that Personal Information or to withdraw your consent to collection and use of your User-Provided Information. If you withdraw your consent, we shall act reasonably to remove your information from our database and, if applicable, to request the Authorized Entities to remove your information from their respective databases. In the event that you would like to change your information, please identify the type of Personal Information you wish us to change and the email address, user name, or other identity under which you provided the Personal Information to us. We will respond to your request as soon as reasonably possible. Most web browsers automatically accept cookies, but if you prefer, you can change your browser to remove or block some cookies. Your browser settings may not remove or block all types of cookies used by this Site. In order to change your browser settings, you may either consult the help resource for your browser, or you can go to www.allaboutcookies.org for instructions on how to disable cookies. Please be aware that if you disable cookies, you may not be able to access all parts or functions of this Site. If you do not wish to receive communications from us or Authorized Entities, you can decline to receive such communications at the time you provide us with your contact information. If you choose to receive communications, you can opt out of receiving further communications by following the instructions provided in any marketing and promotional communication, or by emailing support@ezitsolutions.com. We will process such requests as soon as reasonably possible. Please note that if you decline or opt out of receiving communications from us, you may still receive certain non-marketing and non-promotional communications from us, such as communications about any transaction you may conduct with us or an Authorized Entity and about our Site operations. We understand that the security of your User Information is important to you. When handling Personal Information, security is paramount and we have established policies to safeguard your User Information against unauthorized access, disclosure, destruction, retention, or other misuse. We periodically review our security procedures to consider appropriate updates, including new technologies. Please be aware that we do not use Secure Socket Layer technology to encrypt transmissions made through the Site. If you contact us by email or via the Contact Us section of the Site, you acknowledge that your communication may not be secure and third parties may be able to view any information you send to us. You further acknowledge and agree that we assume no responsibility or liability for disclosure of your information due to error or unauthorized access of these communications by third parties. By using the Site, you acknowledge that no security procedure is infallible. We will notify you of any unauthorized security breach involving your User Information in accordance with applicable laws. You acknowledge and agree that we may use any reasonable, lawful means of communicating with you regarding a security breach. Please be aware that any information you voluntarily disclose or that you post to publicly-accessible parts of the Site may be viewed or used by others. You disclose or post your information at your own risk, and acknowledge that you may receive unsolicited communications from others in response to your disclosures or posts. The Site is directed towards general audiences. We do not knowingly solicit, collect, or use Personal Information from children under the age of 13, and we do not knowingly encourage children under the age of 13 to access or use the Site. Children under the age of 13 are not authorized to access or use the Site without their parents’ permission (including transactions conducted through the Watch Live, Tickets, or NASL Shop sections of the Site). If, in the future, we knowingly collect Personal Information from children under the age of 13, we will do so in compliance with the Children's Online Privacy Protection Act of 1998. We store any data we collect from you on servers located in the United States. By using the Site, you acknowledge and agree that your information is being collected, stored, processed, and transferred into or out of the United States, in accordance with United States law. You further acknowledge that applicable U.S. laws may not be equivalent to the analogous law in your home country. California law permits users who are California residents to request certain information regarding our disclosures of Personal Information to third parties for their direct marketing purposes. To make such a request, please send an email to supporters@nasl.com or write to us at 112 W. 34th Street, Suite 2110, New York, NY 10120, Attn: Website Supporter Relations.